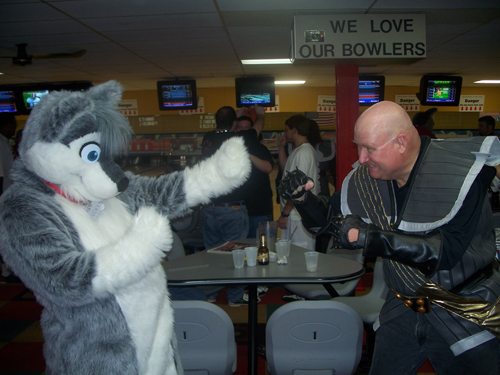 The much-hyped bowling tournament between the furry and Star Trek fandoms took place on September 29th with turnout of not only both groups, but people from G4 and FarkTV, as well as a bunch of mariachi singers too! Although the furries eventually lost – due to the balls being impossible to hold while in fursuit, as well as obscured vision – the furries generally celebrated that such an event had recieved such a turnout; the furry team greatly outnumbering the Trekkie hoards. And of course, everyone got some good beer!